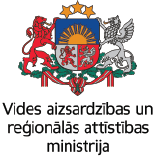 Latgale Planning Region invites local municipalities of the region to participate in 10 day training cycle “The availability and quality of customer-oriented services in municipalities”. Third and fourth day of the training will take place in Riebiņi municipality on June 27, 2018 and June 28, 2018. The main focus of these days’ trainings will be on human resources (HR), which is the most valuable resource in the local municipality. During these trainings will discuss policies and managements of HR, possibilities to build a high quality relationships and productive microclimate in the local municipality to foster the quality of the provided services. We invite municipalities of Latgale Planning Region to delegate a representative to these activities, sending information about the participant (name, surname, phone No. and e-mail) to e-mail: pasts@lpr.gov.lv. The number of participants is limited!